KSi® launched into the marketplace with an innovative technology that changed an entire industry. 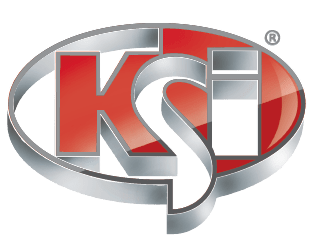 Today, KSi continues to thrive, understanding that innovation never ends, quality craftsmanship matters, and that serving the customer is paramount. 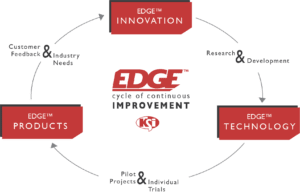 We call this EdgeTM Innovation and it is a driving force in the culture at KSi, from the development of EdgeTM Technology to the production of EdgeTM Products. The KSi culture is one of trust, transparency, and servant leadership. It is the difference between producing a product solely for financial gain and creating products built to serve the customer’s needs. It is the difference between offering true innovation that advances the market and merely claiming “me, too” status. It is the difference between paying lip service and providing real, dependable service to customers – what they need, where they need it, and when they need it. It’s what gives KSi the EdgeTM.